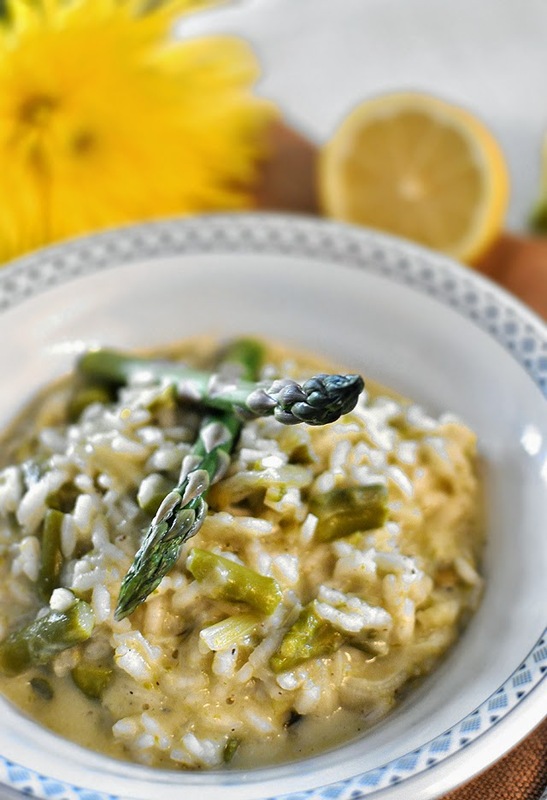 Risotto is incredibly easy to make and it is play food. Food shows and restaurants made a big deal out of a very simple dish, and in truth, it just needs a little bit of time and attention. Ingredients that you can put in it are endless and that makes it play food for me. Just think about it. Vegetable stock, chicken stock, fish stock? Scallops and asparagus? Beautiful three meet ragout? Simple mushroom risotto? My favorite must be the squid ink risotto, that one not being so simple anymore because - good luck finding squid ink in Salt Lake City. Blah. This risotto though. You are done in about half an hour and have a beautiful and fresh lunch, add a nice filet of fish or whatever kind of protein you like, you got yourself an awesome dinner. Prepare your vegetables, slice the leek lengthwise first and then chop it into about 1/2" slices. Make sure you wash it thoroughly because leeks can hold tons of dirt between the leaves. Let it dry off. Break one asparagus to find where the tough bottom part ends and then trim the rest of them to the same size. Cut them into 1" pieces and then wash and dry. Heat the olive oil in a big pan. In a separate pot heat up the stock. Finely dice shallots and saute them until translucent. Add the leeks and saute until it starts getting slightly browned and then add the minced garlic and keep cooking for about 30 seconds. Add the asparagus and let it cook for a minute or two. Pour vine over the vegetables and cook for a few minutes, until it reduces nicely. Once vine is reduced, add the rice to the big pan and cook it for a couple of minutes, constantly stirring until it gets translucent around the edges, and then slowly start adding the stock. Love your rice and enjoy cooking it, as ridiculous as it sounds. If you are impatient or too busy to stand over it for 20 or so minutes, opt for a pasta dish. Risotto, as I already said, is not hard to make but it does require your attention or you will ruin it. It does not need to be stirred without stopping for 20 minutes, at least not in the beginning, but you can't let it go for five or even two minutes unsupervised either. Especially in the end when every second counts. You may not use all of the stock you prepared, and sometimes I had to reach for some more in the end, you will see how much your rice needs one you start cooking it. After about 10 to 15 minutes, when the rice is more than half way done, mix in the Parmesan cheese. Continue mixing and cooking until the rice is al dente and then remove from the heat. Risotto should still be runnier than you want it at this point. 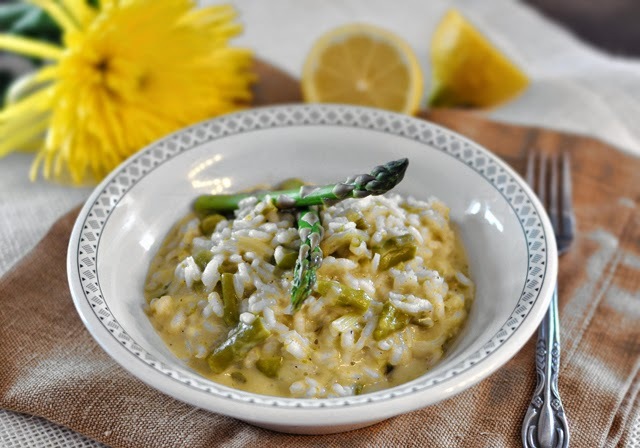 Divide the butter in a few smaller pieces, gently mix it in the risotto and forget about it for two minutes. Serve with some extra Parmesan on top.